The Blaine Air Permeability Apparatus determines the fineness of Portland cement in terms of specific surface area expressed as the total surface area in square centimeters per gram of mortar or cement. The Blaine works by drawing a definite quantity of air through of bed of cement exhibiting a definitive porosity value. The number and size of the pores in a prepared bed of definite porosity is a function of the size of the particles and determines the rate of airflow through the bed. This procedure is outlined in ASTM C204, Method A and AASHTO T153. 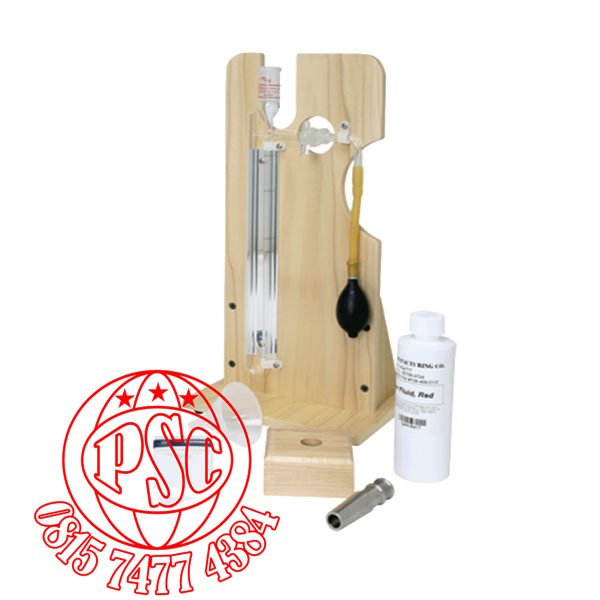 The Humboldt Blaine Air Permeability Apparatus consists of: calibrated U-tube manometer, ground glass joint, stainless steel test cell and plunger, rubber aspirator bulb and perforated disc. Includes an 8 oz (226.8g) bottle of red manometer fluid, filter paper, wood block for holding test cell during filling and a funnel. Mounted on finished wood panel with rubber-footed base. To perform this test, NIST Portland Cement #114q is required by the ASTM standard for calibration. See Accessories H-3817 and H-3817.20. This Standard Reference Material (SRM) is used in calibrating fineness testing equipment, such as the Blaine Air Permeability Apparatus, according to ASTM Standard Methods. The SRM unit consists of a glass vial with plastic caps containing powdered cement (each vial is contained in a sealed foil bag). Each vial contains approximately 5g of cement. Package of 20, H-3817 individual vials. 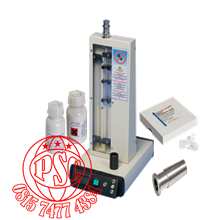 This Standard Reference Material (SRM) is used in calibrating fineness testing equipment according to ASTM Standard Methods. The SRM unit consists of a glass vial with plastic caps containing powdered cement (each vial is contained in a sealed foil bag). Each vial contains approximately 5g of cement.